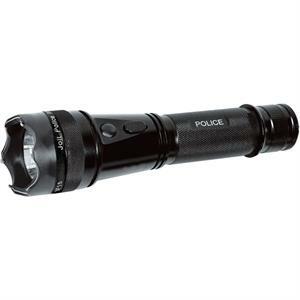 Police 15,000,000* Tactical ELECTROCUTION Stun Flashlight is made of military grade aluminum alloy and packs the stun and flashlight power of large stun batons into a unit only a little larger than seven inches long! 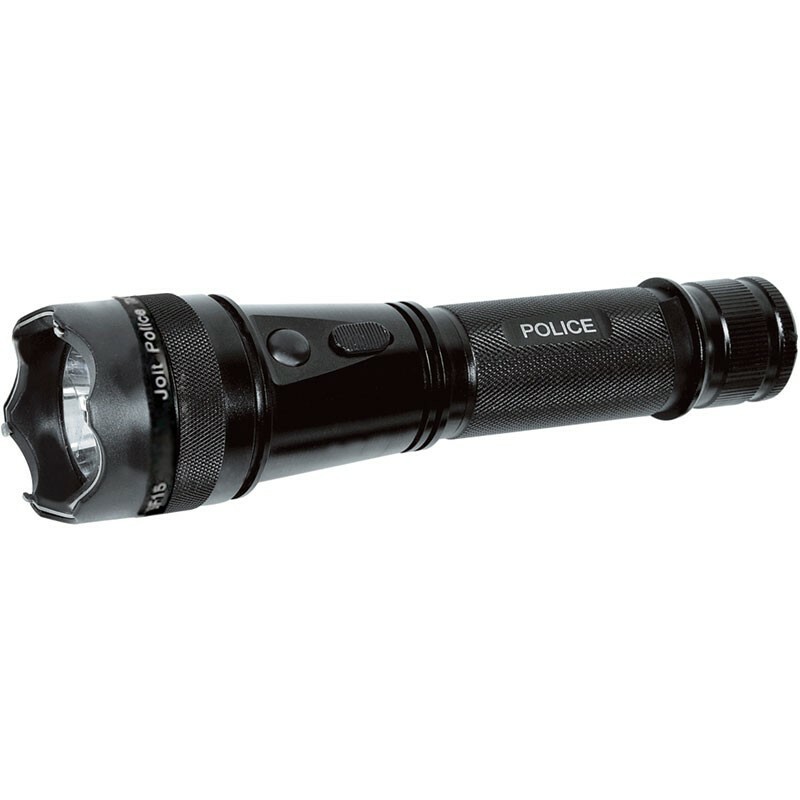 It incorporates Triple Stun Technology (TST) which creates a powerful electrical storm on the head of the unit. For fast activation, the safety switch and large stun button are conveniently located next to each other on the top of the unit. Other models have these buttons located on opposite sides which can make finding the stun button difficult in a panic situation. In this improved design we made the stun button three times larger and positioned it directly above the safety switch.